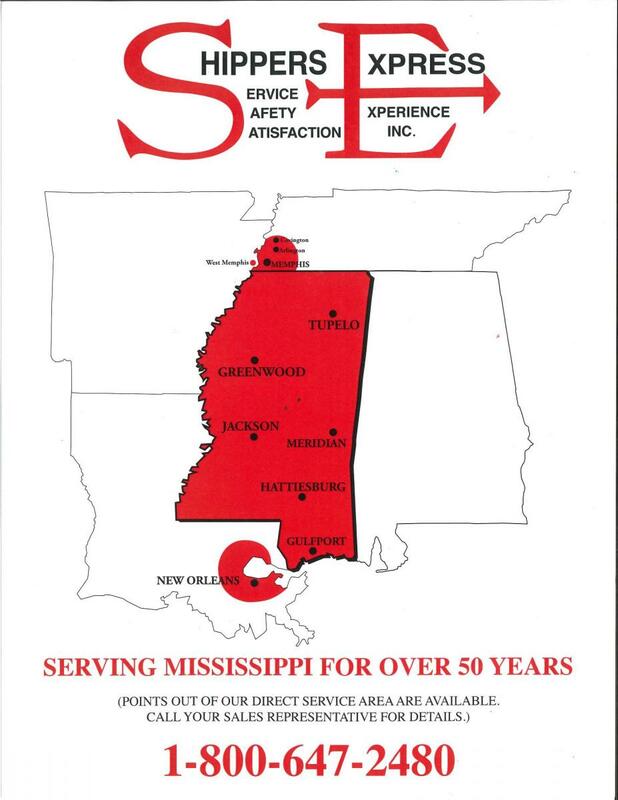 Shippers Express Inc. provides LTL (less-than-truckload) services to all points in the state of Mississippi, as well as Memphis, TN, and New Orleans, LA. 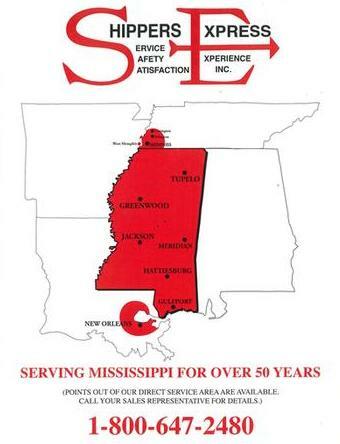 Our customers can depend on the service, safety, and satisfaction we have provided since 1963. With over 50 years of service in the transportation industry, Shippers Express Inc. offers reliable shipping solutions that meet our customers' needs. Please click on the link below to see our service area in PDF format or click on the image.